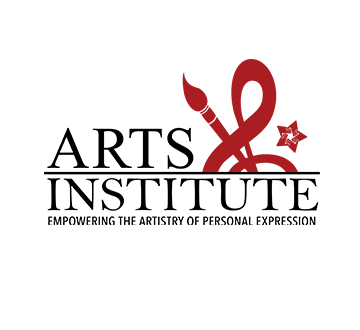 The concept of the Arts Institute was designed and outlined by Marshall White, Founder & CEO of Unity Performing Arts Foundation, Inc. (Unity) in the earlier stages of the Unityʼs vision. This creative and innovative concept is a comprehensive approach that offers children exposure to various artistic disciplines and instruction and also life skills development that exposes children to character-building. Creating strong partnerships that provide effective programming is what the YMCA of Fort Wayne and Unity Performing Arts Foundation (Unity) believe will help guide more young people to a successful life. Unity is a cutting-edge artistic platform that builds and shapes young people into quality adults by incorporating critical life-skills and philosophical components. Unityʼs artistic platform does not resemble the traditional artistic platforms that have served youth for many years. Unity focuses on reaching the young person first in order to teach and train that person effectively. Unity promotes and practices a standard that holds everyone in the entire organization to work and focus on excellence. Our standard is “Excellence and Nothing Less.” This standard fuels every aspect of the organization. The YMCA provides youth a Christian environment where physical education, which exposes them to healthy living and wellness, is a primary focus. The YMCA also provides other activities and programs that help young people develop their talents, intellect, and social skills. The Old Fort Wayne and the Southeast YMCAs formally provided artistic programming for youth that exposed them to music, dance, fine art, and singing. The new Renaissance Pointe YMCA project wants to offer their youth membersʼ heightened artistic opportunities. They have reached out to create a partnership with Unity Performing Arts Foundation, a multi-faceted performing arts organization that provides youth a professional artistic experience in the areas of choral music, dance, drama, creative writing, oratory and instrumental music. Are you committed to growing your child (or children) so he or she can reach their full potential? Give them the opportunity of a lifetime. Whether they’re interested in the arts or not, they will develop their character and leadership skills.